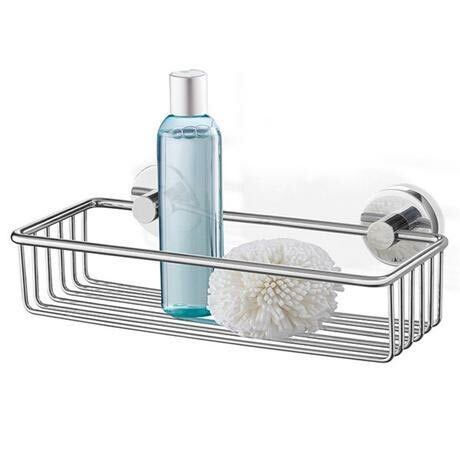 The stylish wall mounted Scala shower basket from Zack's exclusive stainless steel collection, a practical storage solution for your contemporary bathroom. Manufactured beautifully from high quality 18/10 stainless steel with a polished finish. The soft rounded forms of the stylish Scala wall mounted shower basket provide a modern timeless design. Supplied with wall mounting, concealed fittings. A shower basket equal to none, manufactured to the highest standards of German engineering and designed to evoke both beauty and practicality. Made from a high grade stainless steel and polished in a high gloss finish to give it extra shine. Perfect for getting rid of any clutter in your shower and keeping all of your bathroom products in one place. A lovely bit of kit. Good strong quality, clean lines and good space to store your shower essentials. Although it was cost a bit more than most other caddys on market, I am certain that it is an investment piece and will last for a good few years.